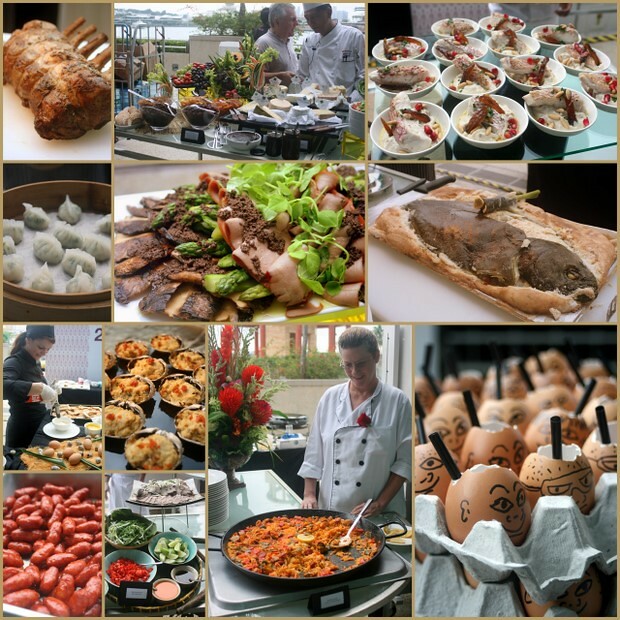 The Wine Restaurant Experience 2011 brought nine esteemed chefs together at its Gourmet Brunch buffet event yesterday. 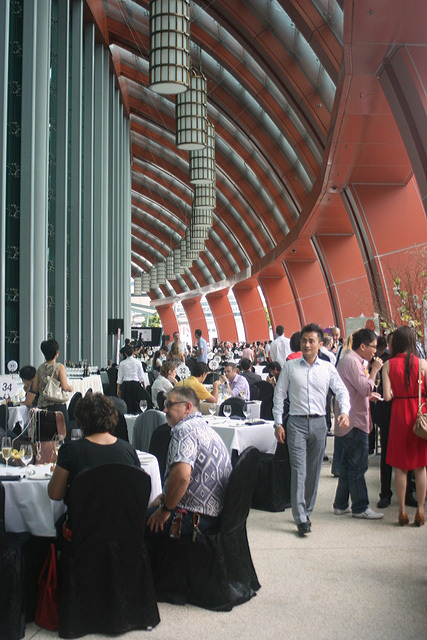 The four hour (11am to 3pm) brunch at Maritime Experiential Museum and Aquarium, Resorts World Sentosa, also featured a bevvy of wines and bubbly (see official page for full list). There was so much food (check out the menu), it was impossible to try everything. The Bakery, Carvery, Cheese, Local Delights, Salad Bar & Soup stations were provided by Resorts World Sentosa. 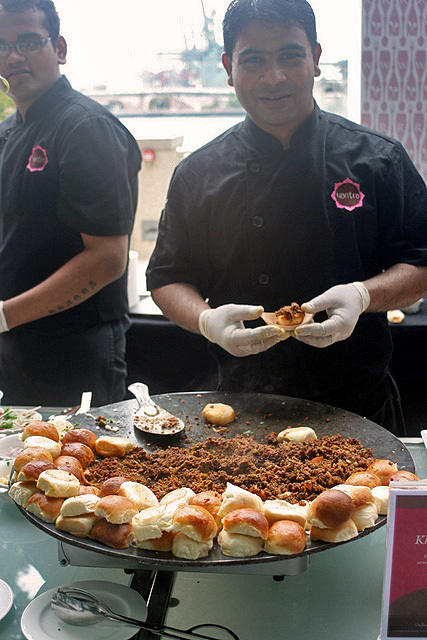 Hubby liked best the Kheema Pav from Yantra. It's like murtabak on a bun! 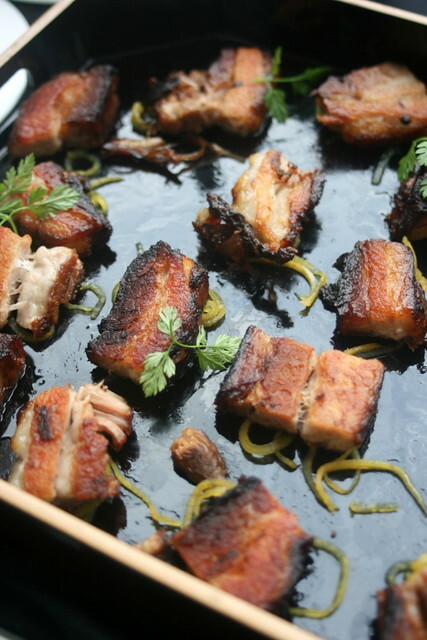 My personal favourite was the pan-fried Kurobuta pork belly with daikon and star anise by by Francois Mermilliod of Absinthe. The flavours are very Asian, and blend well with the caramelised fatty goodness melting in your mouth. I guess the brunch is a good way to sample in one convenient location what the nine restaurants offer. It also gives you the opportunity to meet the chefs who were personally there, diligently dishing out their specialties, and explaining what's behind each delicious morsel. My only hope is that for future events, we can have air-conditioning! The heat and humidity can really kill your appetite!